As we reported recently, the Special Immigration Appeals Commission has ruled that Abu Hamza, the extremist Muslim cleric, cannot be stripped of his British citizenship since this would have the effect of making him stateless. This is the latest in a string of decisions by various courts in a long-running legal saga surrounding the British government’s attempts to remove Abu Hamza from the UK. Hamza is also facing extradition to the United States, but this has been stayed pending the substantive decision of the European Court of Human Rights as to whether the prospect of serving a life sentence in a ‘supermax’ US prison would breach his Article 3 rights (our analysis of the admissibility decision can be found here). This most recent decision in favour of the controversial preacher, who infamously has hooks for hands having lost them in an explosion in Afghanistan in the 1980s, was widely condemned by both the tabloid and broadsheet press. However, the reasoning and findings of Mr Justice Mitting (sitting as the Chairman of SIAC) are interesting from an international law perspective, as well as from a domestic immigration rights standpoint. Section 40(4) of the British Nationality Act 1981, as amended by the Nationality, Immigration and Asylum Act 2002, prevents the Secretary of State from making an order depriving a person of British citizenship “if he is satisfied that the order would make a person stateless”. It was argued on behalf of Mr Hamza that this meant he need only establish a reasonable likelihood that the order would make him either de jure or de facto stateless. However, on consideration of the relevant international law Mitting J rejected both parts of this argument. He noted that the UK has signed and ratified two treaties on statelessness (the 1954 and 1961 New York Conventions), both of which refer to and define de jure statelessness only. SIAC also had before it a survey from a Senior Legal Adviser at UNHCR, which demonstrated that there was no internationally agreed definition of de facto statelessness. Thus s.40(4) must relate to de jure statelessness only. There is no internationally agreed or generally accepted standard by which the issues should be determined. Neither the language of the relevant conventions nor the general practice of states and international organisations requires the standard to be equated with that which applies in cases concerning the 1951 Convention Relating to the Status of Refugees. As a result he found that the default position – that the appellant must prove his case on the balance of probabilities – applies to s.40. Mr Justice Mitting then also made it clear that “the Secretary of State and SIAC is not concerned with the reasonableness of the laws of a foreign state or of decisions made under them to deprive a person of his nationality, but with their effect. If the effect is to deprive a person of nationality and that person has no nationality other than British, he may not be deprived of his British citizenship.” Thus if someone who has dual (or more) nationality has all their other nationalities stripped from them, however unjustifiably or unreasonably, they cannot also be stripped of their British citizenship, as the facts of this case demonstrated. In most cases it should be relatively straightforward to work out whether someone has had a nationality revoked. But it was actually very difficult for SIAC to ascertain whether Mr Hamza had indeed, as he claimed, been deprived of his Egyptian nationality. Mr Hamza was born in Egypt and first arrived in the UK, aged 21, in 1979. He applied for British citizenship in 1984 and was granted it in 1986. Egyptian law requires Egyptian citizens to seek permission before obtaining foreign nationality, and he does not appear to have done so. Nevertheless a decree was somehow issued by the Egyptian Ministry of the Interior in 1988 retrospectively permitting him to acquire British nationality while retaining his British nationality. 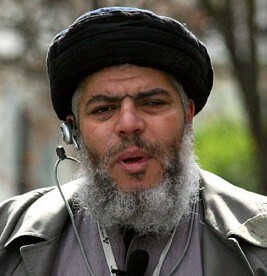 The Secretary of State gave notice that he intended to deprive Abu Hamza of British citizenship in 2003. SIAC found that at this time he still had Egyptian nationality. However, in 2004, before the order could be made, an article was published in Al-Ahram, an Egyptian newspaper majority-owned by the government, which stated that Hamza had been stripped of his Egyptian nationality. I have the honour to inform you that the relevant Egyptian authorities have advised that no conclusion was reached which could be provided to you on this matter. In interpreting this somewhat enigmatic response, SIAC relied heavily upon the testimony of one General Afify, a former high-level Egyptian civil servant turned consultant and lawyer. General Afify’s written statement had expressed a clear opinion that Mr Hamza retained his Egyptian nationality. But on hearing about the Note Verbale response he changed his evidence dramatically, explaining that this meant the Egyptian government had issued a decree stripping Mr Hamza of Egyptian citizenship, despite it not having been officially published. General Afify was giving an opinion based on his knowledge of Egyptian law and, more importantly, of how the Egyptian Government, at senior levels, works. He clearly did not find it implausible or even unusual that the government would issue a decree without publishing it. On that premise, his opinion is unlikely to be mistaken. On any view, the actions of the Egyptian Government in this case are difficult to explain by the standards of public administration and law in the United Kingdom or in other European civil law systems. There is no perfectly logical explanation for its actions, whether it did, or did not, strip the Appellant of Egyptian nationality…All that we can be satisfied about, on balance of probabilities, is that a decree has been issued and that its effect is to deprive the Appellant of Egyptian nationality. In the light of this conclusion, it was clear that Mr Hamza could not be deprived of British citizenship, since that would be to render him stateless, contrary to s.40(4) and the UK’s international 0bligations. It is not surprising that this decision was an unpopular one. Abu Hamza is a known extremist who is wanted for terrorist crimes in several countries, including the US. It is also unsurprising that the UK wants to strip him of British nationality, and is probably immensely frustrated that it cannot do so because the Egyptian authorities got there first, and have done so in such an apparently opaque way. However, that is the price it costs the UK to abide by its international legal obligations and uphold the principle of the rule of law in this case. And it is a price worth paying. For one thing this case does make abundantly clear is that, for all that the British immigration system is very far from perfect, it is immeasurably more rational, clear and consistent with international human rights standards than the Egyptian system. The case does, however, raise questions about the kinds of evidence that the courts should rely upon in examining the actions of foreign states. General Afify’s evidence was not challenged, although SIAC did raised doubts about whether “the denouement provided an elegant solution to a dilemma faced by the Egyptian Government: how to avoid having to take the Appellant back at some time in future, without making and publishing a decision which might cause domestic political problems for it.” SIAC therefore took the explanation of one witness, albeit a very well-informed one, over the plain reading of the Egyptian law. This does potentially set a difficult precedent – there are many countries where the law on the statute books is not what is actually applied, but English courts will not have someone of General Afify’s standing to explain authoritatively in every case what the real situation is.